Meaning of The Only Way to Do Great Work is to Love What You Do Quote by Steve Jobs. Steve Jobs had once said “Your work is going to fill a large part of your life, and the only way to be truly satisfies is to do what you believe is great work. And the only way to do great work is to love what you do”. 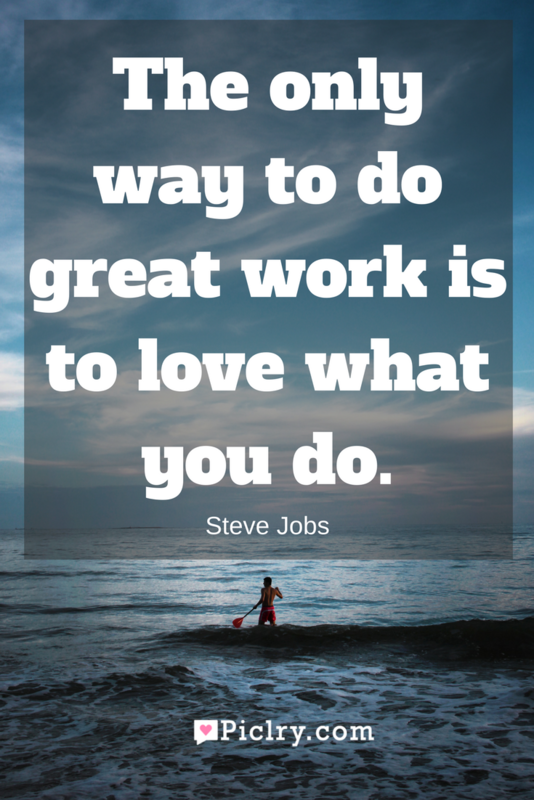 Now this is one great quote which means to say that we work for most part of our lives and we must love our work. That is the only way great work is done. When you love your work, you put all your effort into that work, looking for perfection. It is your passion, your strength and your love for the work that makes it great. If you try to do something you don’t like, you will put only a part of your effort and concentration on it, making errors and preventing the work from becoming great.